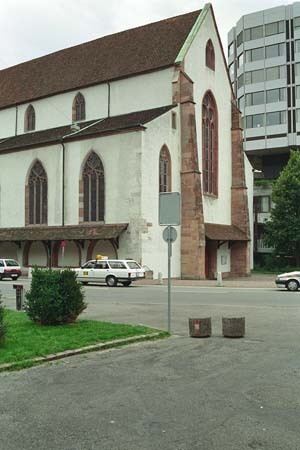 n 1233, Bishop Heinrich sent the Dominican (also called Prediger = preacher) from Thun to Basel to support him as a pastor. The convent was in its heyday during the 13th an the 15th century. However, this came to an end with the reformation. After the earthquake of 1356 the nave was rebuilt, and was used from 1614 onwards by the French protestant who gradually increased in number dure the Huguenot refugees. Since 1877, it has been an old-catholic parish church.